WHAT: When Tim Lake (Domhnall Gleeson) learns that the men on his side of the family have the ability to travel through time, he decides to use his powers to find a girlfriend. Upon meeting the girl of his dreams in American import Mary (Rachel McAdams), Tim is able to perfect every moment in their relationship by doing it over and over again “Groundhog Day”-style, only to discover that there are consequences to altering history. WHY: Richard Curtis has written and directed some of the most memorable romantic comedies of the past two decades, so it should come as no surprise that his latest movie follows in the same footsteps. Curtis’ films have always been about much more than the superficial meet-cute between boy and girl, aiming for something a lot deeper and more emotionally rewarding, which he delivers in spades with “About Time.” Breakout star Domhnall Gleeson and Rachel McAdams work together really well, but it’s the relationship between Gleeson and Bill Nighy (playing the world’s greatest dad) that best serves the story’s central themes and leaves a more lasting impression, especially for anyone who’s ever lost a member of their family. 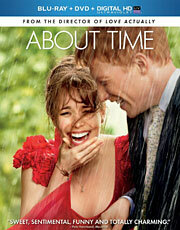 Equally charming, funny and touching, “About Time” is classic Richard Curtis, through and through. And if the rumors about it being his directorial swan song are true, Curtis can take comfort in knowing that he went out on top, because this is not only his most mature and personal work to date, but it’s also one of his finest. EXTRAS: The Blu-ray includes an audio commentary with writer/director Richard Curtis and most of the principal cast (save for Rachel McAdams and Lindsay Duncan), four deleted scenes with intros by Curtis, a blooper reel and four production featurettes. WHAT: When Texas electrician Ron Woodruff (Matthew McConaughey) is diagnosed as HIV-positive and given only 30 days to live, he discovers that cheaper and more effective drugs are available in Mexico. Realizing a business opportunity when he sees one, Ron teams up with a transgender prostitute named Rayon (Jared Leto) to create a “buyers club” where they sell memberships and give away the drugs for free, exonerating themselves of any legal trouble. 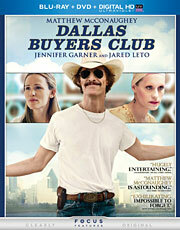 WHY: Is there an actor who’s had a better last few years than Matthew McConaughey? Though he used to be somewhat of a punch line, known more for his shirtless roles in flaky rom-coms than his promising earlier work, recently McConaughey has been repairing his reputation with a string of outstanding performances in films like “Killer Joe,” “Magic Mike” and “Mud.” And while he earned his share of acclaim for all three roles, the actor’s latest turn as real-life AIDS victim Ron Woodruff might just be the crowning achievement of his career thus far. Though McConuaghey’s dramatic physical transformation has captured most of the headlines, it’s only part of his excellent performance. Ron’s relationship with Rayon is key to the film’s success, not only because of McConaughey, but Jared Leto as well, who reminds you what he’s capable of when given the right material. 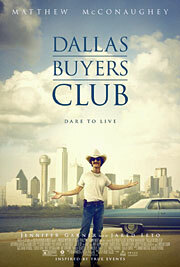 Sadly, nothing else about “Dallas Buyers Club” is particularly memorable, despite the fact that it deals with hot-button issues like AIDS, the health care industry and homosexuality. That poses a bit of a problem, because although it’s a pretty incredible story with a strong message, apart from McConaughey and Leto, the movie is unremarkably average. EXTRAS: There’s a making-of featurette and some deleted scenes, but that’s all. WHAT: Ray Breslin (Sylvester Stallone) is the foremost expert on prison security – paid to reveal the flaws in prison systems from inside. But when he’s kidnapped and incarcerated in a top secret maximum security prison, Ray must team up with some of his fellow cellmates (including Arnold Schwarzenegger) in order to break out. 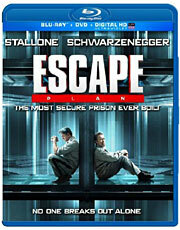 WHY: After teasing ‘80s action fans with cameos in the “Expendables” movies, you’d think that Hollywood could do a little better than “Escape Plan” for Arnold Schwarzenegger’s official big screen team-up with Sylvester Stallone. A mostly dull thriller that plods along at a maddeningly slow pace, “Escape Plan” is almost completely devoid of action or humor, making both stars’ involvement questionable. Schwarzenegger fares the better of the two, injecting some personality into his underwritten role, while Stallone seems content with sleepwalking his way through the entire movie. And if the two leads are underserved by the hackneyed script, the supporting cast is treated even more poorly, with respected actors like Sam Neill and Amy Ryan wasted in relatively small roles. The only real appeal is seeing Sly and Arnie on screen together, because although they may be stars in their own right, they really do make a good team. Next time (and you better believe there will be a next time), someone should create a film for these guys from the ground up, because “Escape Plan” doesn’t do them justice. EXTRAS: In addition to an audio commentary with director Mikael Håfström and co-writer Miles Chapman, there’s a making-of featurette, deleted scenes and more. Is there an actor who’s had a better last few years than Matthew McConaughey? Though he used to be somewhat of a punch line, known more for his shirtless roles in flaky rom-coms than his promising earlier work, recently McConaughey has been repairing his reputation with a string of outstanding performances in films like “Killer Joe,” “Magic Mike” and “Mud.” And while he earned his share of acclaim for all three roles, the actor’s latest turn as real-life AIDS victim Ron Woodruff might just be the crowning achievement of his career thus far. “Dallas Buyers Club” isn’t the kind of movie that would normally attract this much Oscar buzz – at least with such a generic script and uninspired direction – but it benefits from a couple of great performances that demand to be seen. In 1985, the AIDS epidemic was front page news, but many people, including Texas electrician Ron Woodruff (McConaughey), were under the impression that it was a disease only passed between homosexuals. So when Ron is diagnosed as HIV-positive and given 30 days to live (note: he ended up surviving seven more years), he doesn’t believe it at first. Shunned by his friends and unable to get on the hospital’s drug trial list, Ron takes matters into his own hands by crossing the border into Mexico to purchase some non-FDA approved drugs that are more effective. Realizing a business opportunity when he sees one, Ron begins importing the meds to Texas to sell to other HIV/AIDS victims on the street. But when the government catches wind of his operation, he teams up with a transgender prostitute named Rayon (Jared Leto) to create a “buyers club” where they sell memberships and give away the drugs for free, exonerating themselves of any legal trouble. Last month may have been pretty uncharacteristic with the quality of films on display, featuring several Best Picture contenders, but if you thought that it would somehow affect the November release slate, think again. Though audiences will sadly have to wait a little longer to see Martin Scorsese’s “The Wolf of Wall Street” after the director failed to meet the original date, there are still plenty of great movies on tap, including a few award hopefuls, a pair of blockbuster sequels and more. What: The International Military recruits and trains a brilliant young boy named Ender Wiggin to lead his fellow soldiers against an alien attack. 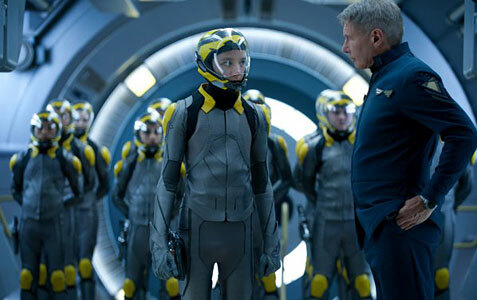 Why: Though “Ender’s Game” has been mired in controversy due to author Orson Scott Card’s recent anti-gay marriage rant, the fact of the matter is that his opinions have nothing to do with the actual movie. Of course, that’s not to say that the film still isn’t fighting an uphill battle. Director Gavin Hood has some making up to do after the disappointment of “X-Men Origins: Wolverine,” but despite some concerns from fans, this big screen adaptation of the beloved sci-fi novel (previously thought to be unfilmable) looks like it could be his ticket to redemption. While it’s surprising that he’d follow up “Wolverine” with another effects-heavy film, it shows that Hood is adamant about proving his critics wrong. And with actors like Harrison Ford, Ben Kingsley and Viola Davis in supporting roles, he certainly has the right tools to do just that. 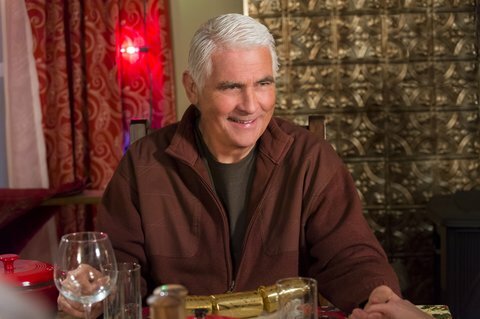 What: Three sixty-something friends take a break from their day-to-day lives to throw a bachelor party in Las Vegas for their last remaining single pal. Why: A lot of people are already referring to “Last Vegas” as the geriatric version of “The Hangover,” but apparently, Dan Fogelman’s script was floating around Hollywood years before the Todd Phillips comedy became a box office hit. Nevertheless, it’s hard to imagine that the success of the “Hangover” films didn’t play some part in getting the movie greenlit, and as goofy as the concept sounds (expect plenty of cheap jokes at the expense of its elderly characters), it actually looks pretty fun. The fact that director Jon Turteltaub was able to recruit such accomplished actors like De Niro, Douglas, Freeman and Kline (the latter of whom we haven’t seen much of recently) only helps sell the comedy even more, because if we’re going to watch four old guys make fools of themselves, you’d be hard-pressed to find a better quartet. What: At the age of 21, Tim discovers he can time travel. His decision to make his world a better place by getting a girlfriend turns out not to be as easy as you might think. Why: Richard Curtis is responsible for making my favorite romantic comedy of all-time (“Love, Actually”), so to say that I’m excited about his latest (and hopefully not last, if reports are to be believed) directorial effort is a bit of an understatement. For starters, it’s a brilliant approach to the time travel gimmick, eschewing all the usual sci-fi mumbo jumbo in place of a simpler explanation, which allows Curtis to focus on the characters instead of getting wrapped up in the how of Tim’s magical ability. The father/son storyline also appears to be more important than the trailers suggest, and between rising star Domhnall Gleeson and the always dependable Bill Nighy, it’s that relationship (and not the one between Gleeson and Rachel McAdams) that will likely provide the careful balance of laughter and tears that Curtis has perfected so well.